We have several grades range from 22% p2o5 to 32% p2o5, we can supply it a powder form as per the required micron size, packing in various packages according to the clients requirements, our plant produces up to 50, 000 mt of rock phosphate per month; we have huge stores in ain sokhna /adabiya and safaga ports at red sea. Rock Phosphate used in Fertilizer. We have P2O5 Max 30 %. Short on time? Let phosphate-rock sellers contact you. 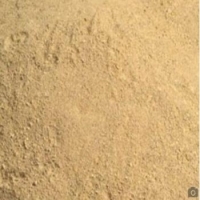 King Metals And Alloys Madras Ltd.
we can provide Rock Phosphate and Phosphoric Acid on a regular monthly basis with Supreme quality and competitive prices. Let us know your exact requirements to proceed further. Feel free to post queries. The mineralogy is defined according to the type of formation where we: Eworked phosphates on interface Eocene / Continental terminal which is a sporadic level with a thickness of 1.5 is composed of: 23, 47% P2O5, 24, 58% SiO 2; 6.35 feral and a CaO / P2O5 1.43 - The phosphates that are interposed in the upper calcareous soft clay 1m thick and having a composition of 28% P2O5, 1.8% feral 1.63% and the ratio of CaO/PO5. For more details contact us. 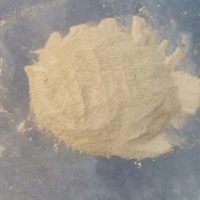 We offer an exceptional quality of Rock Phosphate Powder to the clients at budget friendly rates. While the offered product is famous in the market for its smooth texture and high durability, it is commonly used in a number of industrial applications. While this product is manufactured as per the international industrial guidelines, we package these using high-grade packaging materials and deliver timely. We are located in Egypt, Cairo. 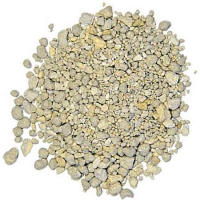 Phosphate Rock is the raw material to manufacture most commercial phosphate fertilizers. In its unprocessed state, phosphate rock is not suitable for direct application. The process begins by grinding rock phosphate to a fine material. 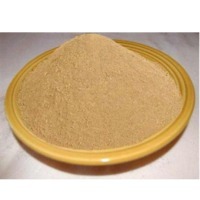 Potash is also fed together with super phosphate to obtain various grades of fertilizers. Purity from 24% up to 30% Supply ability: 75000 Metric Tons per month. Bulk loaded in vessel Bulk loaded in container Bags of 50kg or any other after agreement with the client.